If you are looking to buy a game for your child, what about getting an educational game? There are educational games that can teach children the letters of the alphabet, how to read and spell words, how to count and much more. For preschool children (below the age of 6), we recommend phonics games. There is a wide range of phonics games that can help children learn the alphabet and acquire early reading and math skills. Leapfrog has great phonics games such as the Phonics Learning Desk, the Phonics Radio and the Friends Phonics Bus. Our favorite, the Phonics Learning Desk teaches children the ABCs, how to count, how to write (children use the pen provided) and even how to add numbers. For school age children, there are many games that can help kids acquire skills and knowledge. For example, board games can be a great way to learn about history and geography. If your child has difficulty memorizing countries and cities, there are geography board games such as Brain Quest Around the World that help children memorize continents, countries and cities all while having fun. If your child is not doing well in history class, there are also history board games that have children learn about history. There are board games such as American Trivia that are just focused on US history and that teach kids about the history of the United States and historical periods such as the Civil War. There are also board games that cover the history of the world. We recommend a board game called This Day in History. In this game, players learn about historical events that they have to put in order in order to move their chips forward and eventually win the game. If your child is struggling in math, we recommend dice games. Our favorite dice games include Bunco, Farkle, and Yahtzee. These games are fun because they combine strategy and math. Children practice addition and multiplication and they also have to strategize in order to win the game. Another positive aspect of dice games is that they are great travel games as they can easily be carried around. 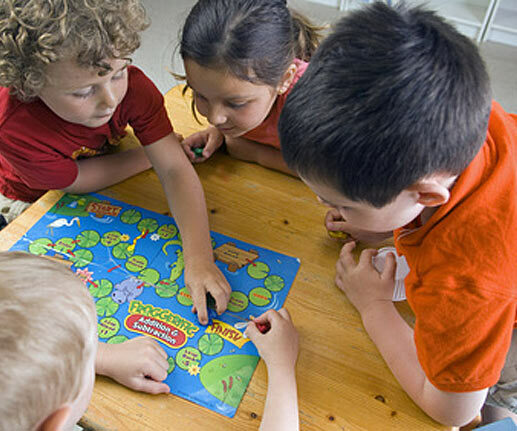 There also educational games that enhance literacy skills such as word board games. One of our favorite word board games is Scrabble. There is also a junior version called Scrabble Junior which is more appropriate for children ages 8-12. There many other fun word board games that the family can play together and enjoy. And by playing these games, children enhance their literacy skills.